The Parlour is a comfortable Meeting Room. 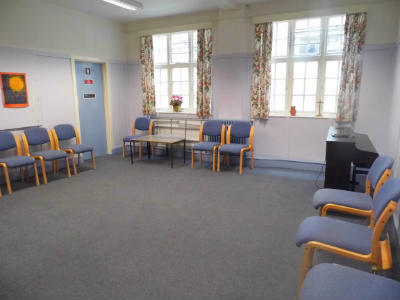 It is carpeted and offers armed chairs, small tables, an electronic piano and service hatch through to a ‘shared’ kitchen. In addition there is access to a unisex toilet.